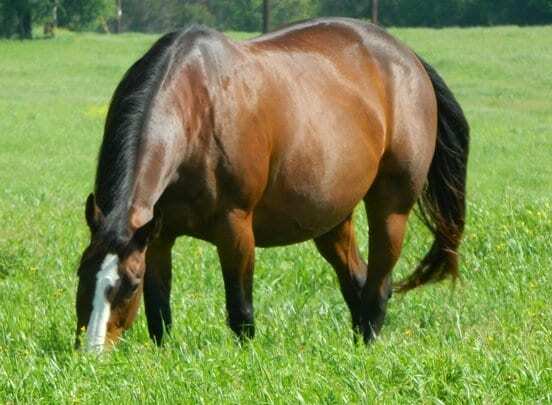 Mares require veterinary care throughout pregnancy to ensure well-being. These examinations help identify potential issues, allowing owners time to make changes in management to benefit the mare and her developing foal. Examples include (1) identification of changing needs to their hoof care and (2) dietary energy modifications to ensure she is not over- or underfed during gestation, and (3) nutritional supplements such as joint supplements to support musculoskeletal health and omega-3 fatty acids, like E-O3, that benefit both the mare and developing foal. “During these examinations, your veterinarian may use transrectal ultrasonography to visualize the foal and make various measurements,” explained Laura Petroski-Rose, B.V.M.S., a staff veterinarian for Kentucky Equine Research. Many equine veterinarians specializing in reproduction own the traditional two-dimensional (2D) ultrasonography units to confirm pregnancy and evaluate the foal early in gestation. Mirroring advances in human medicine, some have upgraded to three-dimensional (3D) units to assess crown-rump length and fetal volume. Crown-rump length was consistently and significantly larger—but appeared to be more precise—when measured via 3D rather than 2D ultrasonography, and the 3D ultrasound provided reliable results meaning that similar measurements were obtained even with different examiners conducting the exam. If you have any questions about feeding your mare for optimal health during gestation, contact a Kentucky Equine Research nutrition advisor today. “Your mare may crave sugar cubes and molasses-oat cookies, but it's the owner's onus to ensure her diet meets all of her needs during this period of eating for two,” reminded Petroski-Rose. *Becsek, A., N. Tzanidakis, M. Blanco, et al. 2018. Transrectal three-dimensional fetal volumetry and crown-rump length measurement during early gestation in mares: Intra- and interobserver reliability and agreement. Theriogenology. 126:266-271. This entry was posted in Horse Care and tagged development, foal, gestation, kentucky equine research, KER, mare, ultrasonography, ultrasound by Kentucky Equine Research. Bookmark the permalink.